In an apparent attempt to steal some clicks, the normally reliable Croatian website Index.hr reported Friday that Mirko “Cro Cop” Filipovic had suffered an eye injury while training and couldn’t obtain medical clearance for his September 25th scrap with Frank Mir. “Mirko Filipovic may have suffered a serious eye injury in his last training session before flying to Indianapolis. Sources close to the team claim the injury is of a serious nature and could put his UFC 119 with Frank Mir in jeopardy. Cro Cop has allegedly seen by a series of specialist and it’s still unclear whether or not he will travel to the United States for the bout. While MiddleEasy.com may have been gracious enough to translate the piece, it appears the report was completely bogus. With a few simple presses of the thumb, UFC president Dana White quickly dispelled the erroneous news. 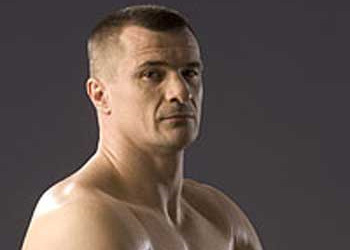 “Cro cop is fine. Rumor is not true,” White tweeted. UFC 119 will be jumping off inside the Conseco Fieldhouse in Indianapolis, Indiana. The heavyweight clash will headline the pay-per-view broadcast, regardless of Index.hr’s alleged trolling efforts.